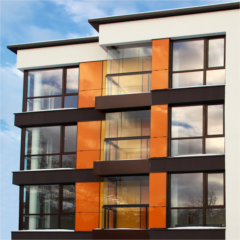 MEBS provides housing solutions based on the specific requirements of our client ranging from large secured compounds to one bedroom apartments on short and long term leases. Our established presence and experience with local real estate markets enables our staff to identify the best neighborhoods and properties. All MEBS accommodations are conveniently located near business districts, shops, schools and ex-pat communities. We’re able to weed through the crowded real estate market and select only those properties that meet your requirements for location, size, quality, and budget. Because of our wide selection we can show you a variety of potential residences from which to choose. And because client satisfaction is our top priority, we will continue searching until we’re certain you’re happy with your new accommodations. MEBS focuses on providing a rewarding and modern home environment. All MEBS accommodations are carefully screened to meet our rigorous standards, come fully furnished, and include high speed internet, maid service, satellite TV, and on-call maintenance service. Most have workout facilities and many come with private parking and swimming pools. Providing accommodations that offer a safe and secure environment is critically important to MEBS. We employ our own 24-hour security patrol. Security guards patrol MEBS properties throughout the night to ensure the property and residents are safe. Clients also have around-the-clock access to MEBS security personnel, should a security concern arise.